Beautiful 3 bedroom, 3 full bath, end unit townhouse with 2 car attached garage in Harmony of Lakewood Ranch. Gorgeous Coastal elevation exterior and French Country Inspired Furnishings throughout the home. This Driftwood End Villa with Loft boasts an open floor plan, ample natural light, granite counters throughout, upgraded wood plank tile and 8' doors, white kitchen cabinets with cabinet crown molding and under cabinet lighting, a large pantry with frosted glass door, a main floor master bedroom with spacious walk-in closet and dual-sink master bath, 3 total bedrooms and a loft, separate laundry room, a large storage room, and brick paver driveway and patio. Better than new! Harmony features a resort-style heated pool, fitness center, BBQ area, playground, and walking trails. 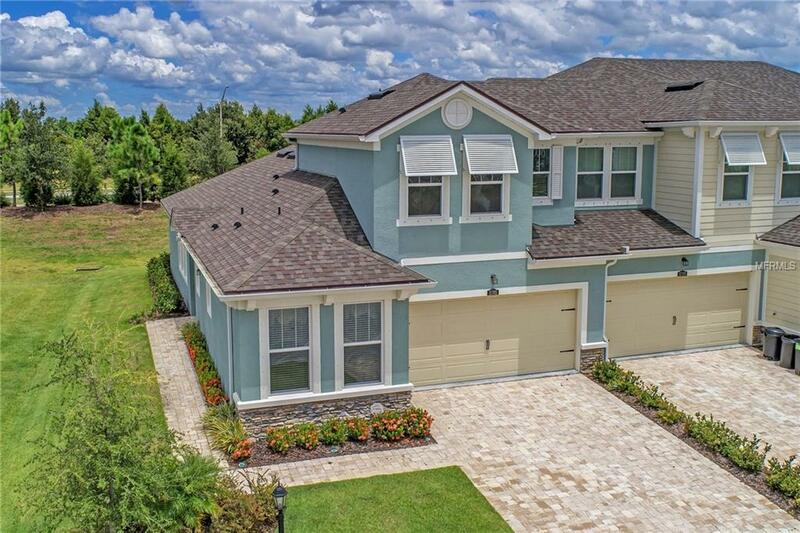 Close to parks, shopping, top rated schools, UTC mall, LECOM, great restaurants, and all that Lakewood Ranch, the nation's #2 best selling master-planned community has to offer. Furniture available.